This blend is made of cereals from Ireland (67% grains and 33% barley). It is characterised by its maturation in different kind of barrels. 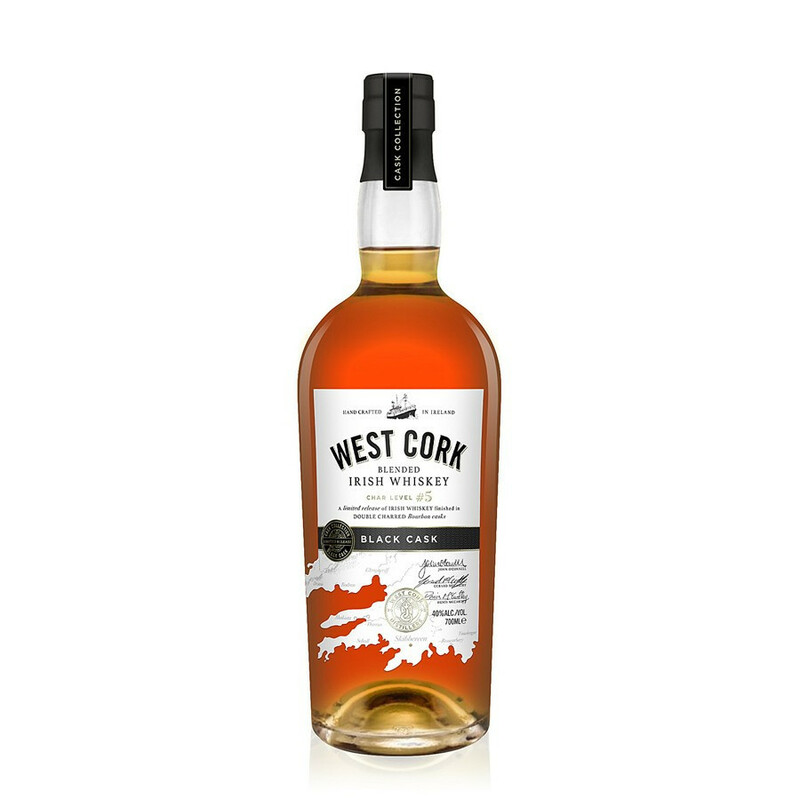 This blend called Black Cask is made of 100% cereals from Ireland ( 67% grain and 33% malted barley). It is characterised by the master of maturation in various kind of Bourbon from Kentucky barrels. Then it is refined during 6 months in these barrels of first filling, burnt two times. This technic allows to achieve a very high level of "bousinage" (burning) of 5 on a scale of 7. This heating rate is higher than the famous "Ardbeg Aligator" that allows to the Black Cask to let you discover a unique maturation. 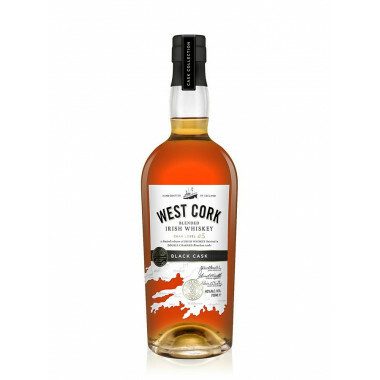 "West Cork Distillers" is located on Skibbereen, in the Cork County. It was established in 2003 by Denis Mc CARTHY, Ger Mc CARTHY et John O’CONNELL. The WCD distillery stand out by its equipement of fermentation designed and made by the WCD team. The use traditional stills during the spirits production. They also use quality materials like their barley, cereals cultivated in Ireland and untreates spring water. The purpose of the distillery is to offer high quality whiskies. Palate: malted, persistent softness, vanilla, smoked, light. Finish: round, slightly smoked with dark chocolate.